Engineered with a softly padded terry loop footbed, these Pringle Plain Cotton Cushioned PED Socks are perfect for helping to reduce shock during high impact activity, absorb moisture and increase comfort for feet, particularly during training. 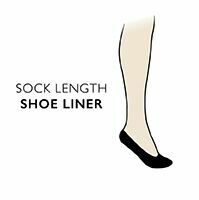 With their cotton rich blend of fibres, these under-ankle socks are skin-friendly and breathable, so feet remain cool and fresh. Silicone strips are placed at the inside of the heels to stop the liners working their way down or underfoot during use. Men’s Pringle Plain Cotton Cushioned PED Socks come as a triple pack, essential for stocking up on ready for slipping into.